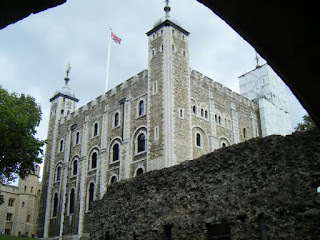 I really enjoyed visiting the Tower of London with my family when they came over for our wedding. My 8 year old cousin was with us and she had a blast. There are exhibitions and displays and other children friendly things to do while you are here. It all started with William the Conqueror in 1080s and other monarchs added to it over the years. The 'Beefeaters' are a popular attraction and still wear Tudor and correct title is Yeoman Warders. The Crown Jewels are kept here and have a great display in the Jewel house. The jewel here are still being used today by the Queen. You can see all the different jewels worn by the English King and Queens during their coronation. The coronation crown is known as the St Edward's Crown. The world’s largest cut diamond is kept here too! This place is known for the the famous people who have passed through Traitors Gate. Some of them were of high rank such as 2 of Henry VIII’s Anne Boleyn (#2) and Catherine Howard (#5). There is a good display about what people who would have been locked up here might have gone through. People of high rank were executed here and not publicly like other people. We even were able to attend the Ceremony of the Keys. You have to write in to them and have to be living in England in order to attend but you are able to bring your visitors. You can get into the Tower of London using your London Pass. There is so much to see I would allow at least 3 hours to see this place. Also depending upon what time of year you visit, you may get caught in the queues if it is the high season.